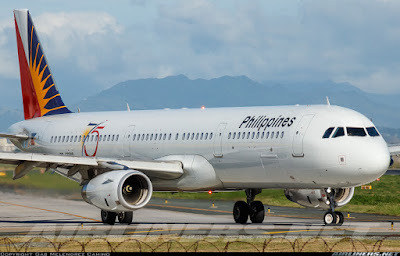 Aviation Updates Philippines - After a three year respite, flag carrier Philippine Airlines resumes flights to Kuala Lumpur, Malaysia on June 8, 2017. Malaysia is a profit center in the ASEAN region, providing a favorable investment climate to individuals and organizations. With investment opportunities in Malaysia's service and manufacturing sectors, the PAL route will provide direct access to new business opportunities. The re-opening of the route comes during this period of ASEAN integration in which member-states are gearing towards economic integration through increased trade, investments and employment opportunities. Close to 800,000 Overseas Filipino Workers (OFWs) are employed in Malaysia. Malaysia is also ranked as 9th destination of choice in the world and is top 2 within the ASEAN Region next to Singapore. “The resumption of PAL flights between Manila and Kuala Lumpur will help foster economic and cultural ties between the Philippines and Malaysia. Most importantly, it addresses the clamor for a direct service between the two capital cities”, said PAL President and COO Jaime J. Bautista. “Through PAL flights and code-share partners, we can carry passenger traffic from Kuala Lumpur to China, Japan, South Pacific and North America and thus enhance our ASEAN network”, he added. PAL's decision to operate daily flights between Malaysia's Capital City and Manila comes amidst the airline's fleet modernization and route expansion program. Passengers are given the flexibility to choose from any of the daily frequencies of the route. PR 525 departs Manila every Monday, Wednesday, Friday and Sunday at 7:25AM and arrives in KL at 11:00AM local time. Its return flight – PR526 – leaves KL on the same days at 12:10PM local time and touches down in Manila at 3:50PM. PR 527 leaves Manila on Tuesday, Thursday and Saturday at 11:30AM and arrives in KL at 3:00PM local time. Its return service – PR528 – departs KL on the same days at 4:00PM local time and touches down in Manila at 7:30PM. The fleet for the MNL – KL – MNL route is the Airbus A321, considered as one of the most efficient single-aisle jetliners. Its stretched fuselage – measuring 146 feet or 23 feet longer than the A320 – makes the A321 the longest and widest (12 feet, 1 inch) among all single-aisle aircraft. The 199-seater aircraft has 12 seats in business class, 18 in premium economy and 169 in regular economy. Wireless inflight entertainment can be enjoyed by downloading the myPAL Player app for free. This will allow passengers to stream a variety of movies, TV shows and music from their personal laptop, tablet or smartphone. Staying online is possible inflight with myPALWi-fi enabling passengers to stay online. Passengers may also choose from a wide array of dishes - Asian, Western as well as Halal meals. Free baggage allowance form part of the flight offerings. The non-stop service will enable travelers from KL to enjoy Manila for several days and hop on to the Philippine's top travel destinations. From Manila, they may also connect to other domestic and international points PAL flies to.